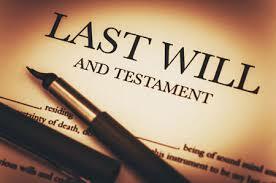 A Last Will is not something that most people like to think about but is good to have. Once you have a Will, you gain peace of mind knowing that your wishes regarding the disposition of your assets and any other final bequests is made known to those who matter. A Will also serves as a road-map for the judge to follow during any subsequent probate process. It helps insure that your wishes are followed, and not those of the government. We will prepare your Last Will and Testament according to your wishes and provide two witnesses and a Notary Public all for $95. You will leave our office with a fully executed, self-proving, Last Will and Testament. What if I live too far away to drive to the Florida Document Specialists office in Daytona Beach? We can still prepare a custom Will for you. We will deliver it to you via USPS mail and also send it by email. Of course, you’ll have to provide your own witnesses and Notary Public, but we’ll include instructions on how to properly execute the Will. We also prepare documents for Durable Power of Attorney, Healthcare Surrogacy, Living Wills, and Ladybird Deeds (Enhanced Life Estate Deeds). Will will discount our fees if you bundle these documents. I need legal advice and have additional questions about my Last Will and Testament. Can you still me? No. Because we are not a law firm, and no one at Florida Document Specialists is licensed to practice law, we cannot give legal advice to anyone. Complete this simple online questionnaire to provide the information we need to prepare your Last Will and Testament.